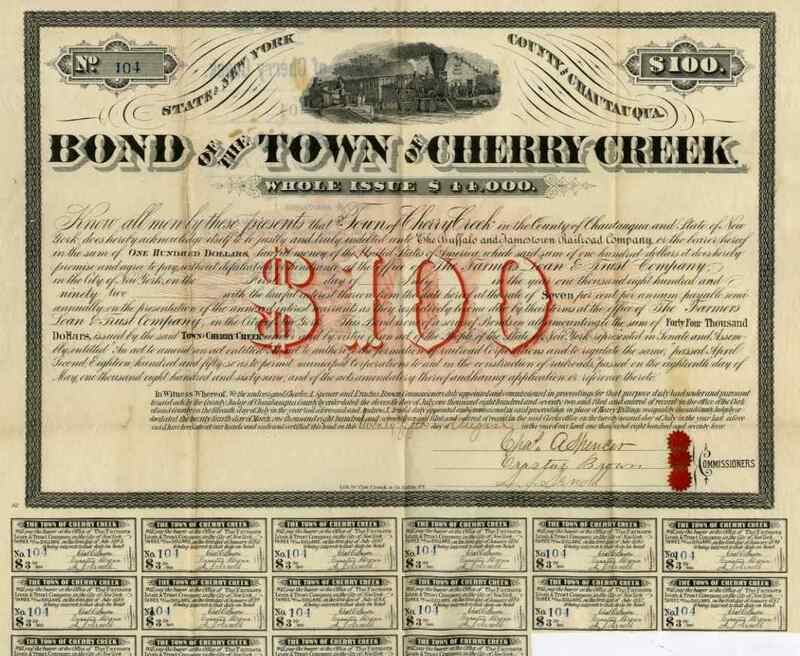 1874 Town of Cherry Creek $100 Bond Certificate. This is one of many New York bonds issued to support railroad development, in this case the town of Cherry Creek in Chautauqua County for the Buffalo & Jamestown Railroad. Nice vignette of steam train at station platform. Coupons below (note missing coupon in middle of first row on scan -- strange) This scripophily document is in VF+ condition with usual bond folds.